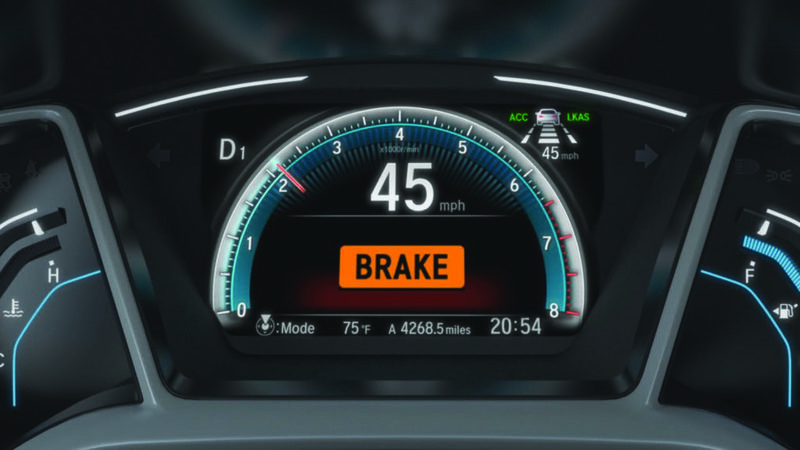 SJF Business Consulting President Steve Feltovich on Friday said he’s been teaching estimating classes that 60 percent of the collision repair labor spent on every ADAS-laden late-model vehicle is going to involve electronics in some way. This could include the time staffers spend pre- and post-repair scanning the vehicle, conducting test drives for system functionality, assessing wiring damage, assessing wiring damage and simply looking up the repair procedures related to vehicle electronics. “There’s a lot going on now on these,” he said. A Honda representative attending one of those courses declared him to be “‘spot-on'” with that statistic. A Honda corporate event predicted the “‘same percentage,'” Feltovich was told. It’s a shift from “hard part repair replacement activity” to diagnostics and testing for safety, he said. These radical shifts in vehicle technology demands repairers consider “what cars can you and can you not repair” and structure your business around it, he said. The day of the independent repairer fixing every brand was “obsolete,” Feltovich said. It would be “impossible” to have all the equipment and certifications, and “you couldn’t afford it” in terms of the equipment. This complexity isn’t just a matter of luxury vehicles, in which a repairer could dismiss the issue as “‘I don’t repair those,'” according to Feltovich. This is “even down to the economy,” he said. 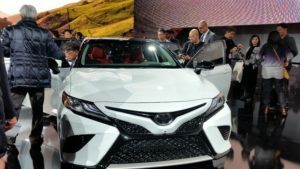 The 2018 Toyota Camry “absolutely draws the line in the sand” for many repairs, with laser screw welding “all over it,” more 1,500-megapascal steel, and an aluminum hood with one-time-use fasteners, according to Feltovich. “We’re talking real technology, he said. The 2018 Camry also comes standard with Toyota’s Safety Sense advanced driver assistance systems suite. Vehicle technology can manifest itself in simpler demands upon a shop as well. Feltovich said he will “lose my mind” when he’s out consulting and sees connectors not protected from dust and dirt — recalling an example where a Ford dealer failed to do so. The fine-pin connectors on vehicles now aren’t like the older connectors, which might have been more robust. A shop needs to shield them, he said. “Theres no awareness,” he said. Feltovich also described the need for owners to look beyond the vehicle and develop a “strategic business plan” addressing the influx of new technology. He mentioned going through one’s repair history to see which vehicles commonly appear in your shop and specializing in those. Vehicle registration data for one’s wider market could also be obtained through a Department of Motor Vehicles, or a private company like Polk or IHS Markit. A repairer might also wish to partner up with a dealership without a collision center and agree to split the work — the body shop handles the body work, while the dealer handles the electronics, according to Feltovich. “You rub each other’s back,” Feltovich said. He said progressive independent shops and even multi-store operations are positioning themselves along these lines. Feltovich said he told the EcoLean session that repairs would likely require 80 percent of the overall effort to go into diagnostics and repair planning, while 20 percent involved the work on the actual vehicle. Feltovich said his experience conducting Toyota and Lexus training since 1998 led him to conclude only 3 percent of front-line estimators had any formal training in the last 3-5 years. “The estimators aren’t even qualified,” he said. He said there are three main challenges facing a repairer. First and foremost is repairing a vehicle properly for consumers. “That’s the number one question,” he said. No. 2 is finding the talent willing to learn the new technology, and No. 3 is getting paid for it, which has “always plagued our industry, he said. Attend Feltovich and Wildman’s session and other speakers’ courses by taking advantage of early registration for the Repairer Driven Education series and OEM Collision Repair Technology Summit at SEMA. Classes and individual OEM Collision Repair Summit sessions are $75 now, $85 after the Oct. 12 early bird deadline. The best deal is the full-series pass for $375, $400 after the deadline. It grants the repairer access to every RDE class, all three sessions of the Thursday, Nov. 1, OEM Collision Repair Technology Summit, the Sky Villa afterparty in Elvis’ old Westgate penthouse that night, and the brand new IDEAS Collide TED-style event Friday, Nov. 2.